» This is How Your Positive Attitude Interacts Your Body. This is How Your Positive Attitude Interacts Your Body. Note: The main aim of the article is that, how we think, reflects in our body. 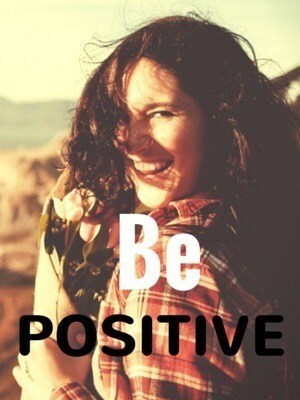 If we’re positive, our brain works positively. Positive thoughts energize our brain and make it happy, and when our brain is happy it controls the body the way we want. However, those who’re already diagnosed with some diseases don’t take the theme of the article in a different way and stop medications. I have believed that optimism is all psychological but I was wrong. A lot has been said about optimism and how it is rooted in the psychological aspect of the mind. Tons of studies have pegged this to be a result of a mere psychological event. However, more recent studies have uncovered that positive thinking can seriously affect the vital organs too. I have been a witness to this as I have started to induce more positivity in my daily life. Positive thinking helped me in more ways than just having hope and thinking that everything is going to be better. Specifically, optimism helped me dodge more illnesses because of its helpful impact in my bodily functions. Here is how positivity has impacted my life so far. My immune system has been working perfectly fine just because I believe in positivity. I realized that I have been visiting the doctors less because of it. It is easier for me to jog long distances and to work out intensely simply because I view things in a positive light. Among the main drivers of these diseases are smoking and poor diet. Optimistic people rarely succumb to these bad habits because they have lesser stress levels to combat. This means that those who are thinking positively may be more exposed to exercise and better eating habits. Unknowingly, optimism is already spreading positive effects throughout the body without the person directly addressing it. According to The World Health to be poor is to be more exposed to more diseases. This may seem unrelated to positivity and its effects on the vital organs but it is not. People who view things positively have better chances of achieving success. With success, it is easier to buy things that are more beneficial for the body. It is easier to mingle with your preferred social group. It is easier to be stress-free. All these are very important in taking care of the heart, liver, kidneys, and other bodily organs. They are more protected when every activity in life is approached with positivity. 5. Laughter is the best medicine. Whoever wrote the quote above was not kidding when they said that it is the best medicine. Too many health risks could be avoided just by taking a positive outlook on things. It takes almost nothing to be optimistic in life but it sure brings a lot to anyone who lives by it. And the impact of this on the vital organs of the body cannot be discounted. It has been working for me and there is no way it will not work for you. What is you take from this? Have you ever encountered the ﻿benefits ﻿of stay positive? Please share your thoughts. Yeah, that is said right. I am also believer of positive impacts of positive thinking on our health.